Want to bring more green to your house or apartment? Using a few easy, inexpensive techniques, you can garden like you own the place — without risking your security deposit. You don’t have to own your home to create a garden that reflects your personal style. 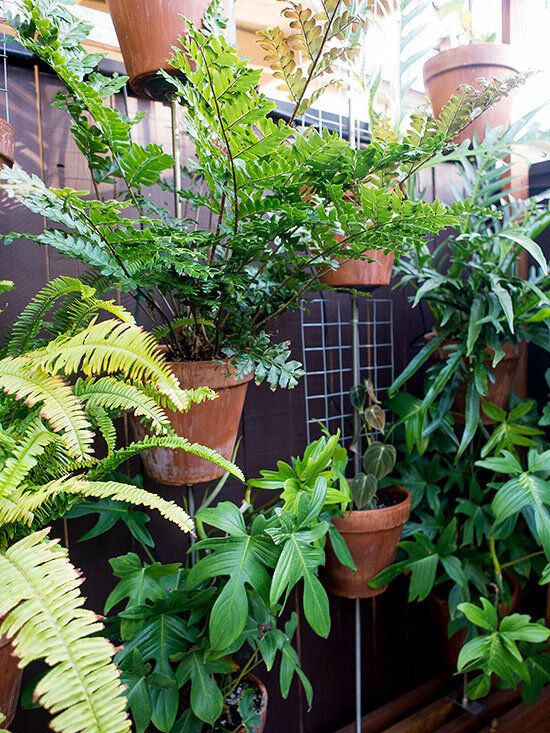 Grow your favorite plants and create an inspired landscape — or patio, interior, or balcony — using these fun, low-commitment methods. (Although you might want to check with your landlord about the larger projects!) And if you move, you can take it all with you. These 10 tips for renters will give your garden a new lease on life. Planters are a renter’s best friend. Today you’ll find a wide variety of planters to fit every aesthetic, including modern, ornate, and eclectic. Even that largest of planters, the raised bed, can be made portable. Epiphyllums (a type of flowering cactus) and wax plants (aka hoyas) are great for renters because they are slow-growing, long-lived plants that thrive in small containers and are adaptable to different lighting conditions and an eventual move. Succulents are another good option for sunnier outdoor locations; they, too, can do well in compact containers. Air plants, meanwhile, let you skip containers altogether, but be sure to place them in well-ventilated spots and soak or spritz regularly. I love these plants! They usually bloom during Christmas Time. Moving or adding a hose connection — or even setting up an outdoor shower! — no longer requires hard piping. Flexible PEX systems allow you to easily extend your garden hose connections to a more convenient location in your garden. The whole system can be easily disconnected and relocated. Drip irrigation systems are inexpensive and can play a key role in meeting the constant needs of your plants. Flexible 1/2-inch mains with 1/4-inch branch emitter tubing are easily installed above-ground in your garden. They can later be reused and relocated. On the fence about your fence? You don’t have to own the place to add style to your borders. Cover an offensive fence with your own cedar or redwood boards. Then you can mount vertical gardening pockets for more leafy vibrancy. No longer taboo, artificial turf can make impressive outdoor rugs. Find high-quality artificial grass in a wide variety in textures and colors. It can easily be cut into the dimensions of your choosing and repurposed for any future outdoor spaces. I love that side table. Pavers an efficient way (starting at around $1 a piece) to cover patches of dirt and weeds. Space them out and put moss between them for a lush look. They’re easy to clean and maintain, and you can pull them up any time. Trellises don’t need to be permanently installed fixtures. Buy or build a free-standing trellis for your climbing vines; they’re a great way to go vertical and can act as a privacy screen if your neighbors are crowded a tad too closely. Chances are your landlord won’t let you dig a 3-foot-deep hole in the backyard. If you still want that water feature, wine or whiskey barrels are a great way to bring aquatic plants (like water lilies) to your garden. Build your larger project with bolts instead of nails. A bolted project can be disassembled, reassembled, and even reconfigured more easily. Even better, use stainless-steel bolts, which will stand the test of weather and time. There are rain collection systems out there that don’t require extensive modifications to your gutter system. Or, if you don’t have gutters at all, consider lining buckets below your overhang to catch rainwater, the best water for your plants. The edible wall of lettuces, arugula, Swiss chard, mustard, strawberries and herbs uses a French riddling rack to hold seeds instead of wine. Genius! The plants were added from the reverse side of the rack before coconut fibre and soil were packed in around the plants roots. The fibres are kept in place with fencing material. Not all plants will work in this set up, but plants that need a lot of drainage like lettuces and strawberries would work wonderfully! Old Chairs make amazing raised planters. This one is super cute because they’ve painted it to contrast with all the garden greenery. Do you have old pair of crocs ? I’ve seen shoe gardens before but this repurposed sandal is especially cute because of its size, color and inbuilt drainage! I love this idea! When a piece of furniture has outlived its indoor life it can be moved to the outdoors! Just add dirt, lining and drainage. Another repurposed planter with built in drainage. It’s like it’s meant to be! If you have the space and propensity arranging all your repurposed planters together can look amazing! This rooftop garden has me inspired. And lets not forget our empty tin cans. Wayfair is having a 70% off Presidents Sale, check it out! Thank you so much Ana…enjoy! When apartment or condo renting, usually spaces are limited to small patios or balconies. Very limited space, and sad when you love to plant. These ideas I hope give some an idea of what they can do. Thank you so much for reading! Thank you for reblogging honey! Thank you Robin. Loved your Salsa recipe! Thanks! It’s pretty awesome with fresh tomatoes from the garden, too. Our wine barrel ‘koi pond’ had a tiny fountain that was merely a small bilge pump powered by a solar car batter charger. That was before solar fountains were invented. Sadly, my pictures from that home were destroyed. Awesome post! So many people rent their homes or live in apartments without much space. Definitely a good reference to let people know that anyone can garden no matter where you live! This was excellent! I’ve just moved, and with me came over 20 plants and bulbs and a tree, I was so worried for them. And here in the north of ireland we’ve had 17 degrees one day and snow 3 days later!! I’m hoping my strawberry plants will come through this as i did alot of autumn and winter and pre/post frost work and protection, fingers crossed! They are crossed Amy! Kuddos to you for bringing plants with you! Belated Happy St. Paddys Day!! !